Most people are familiar with the threat of carpenter ants and termites, but did you know that wood-boring beetles can be just as devastating? 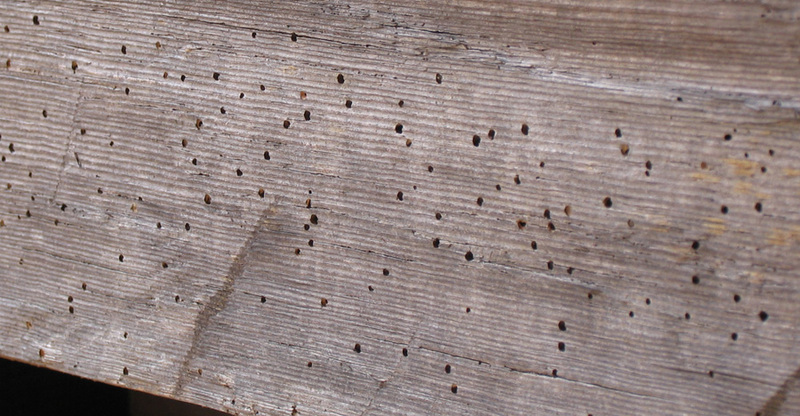 Sometimes referred to as “wood worms” or “powderpost beetles” there are actually four major species of beetles that are responsible for most beetle-based structural damage to wood. Bora-Care can eliminate young larvae and help prevent re-infestation. What are the signs of a wood-boring beetle infestation? Wood-boring beetle infestations can be hard to spot in the early stages because hidden larvae feed entirely within the wood. Most infestations are not discovered until adult beetles emerge through pinholes, leaving a trail of frass behind. 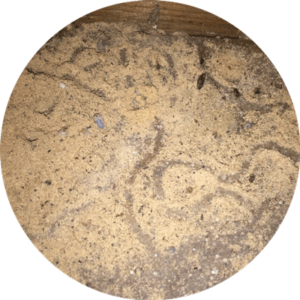 Wood-boring beetle infestations can result in rapid and expensive damage ranging from ugly holes to significant structural issues. 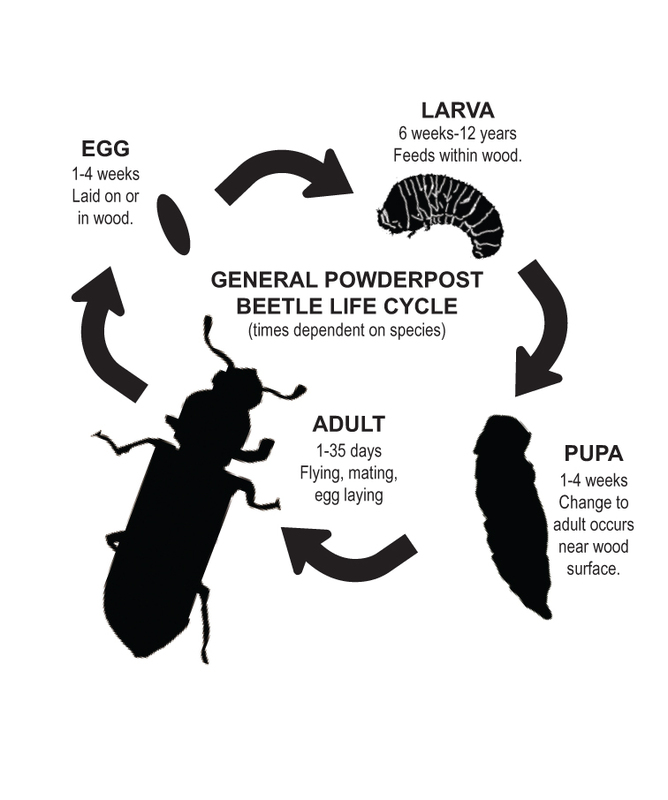 It can take up to five years for larvae to mature into adult beetles and eat their way to the surface. How do wood-boring beetles get into a structure? Wood-boring beetles are not likely to fly into your home or barn. They’re often present in wood that’s brought in or near a building. They can be introduced as eggs or larvae in firewood. Flooring, furniture, door and window frames and decorative trim are susceptible to attack. You can take practical steps to prevent an infestation by examining wood before you buy or build with it. Examine exit holes. If the infestation is active, you’ll see frass the color of freshly cut wood. 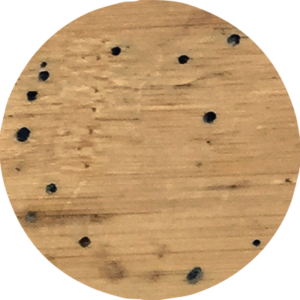 Confirm an active infestation by marking pinholes and rechecking wood for new holes later. Listen for a chewing noise that older larvae may make during feeding. Call a pest professional if you suspect a wood-boring beetle infestation or would like to pretreat for wood-boring beetles.